Have your loge carved in ice. 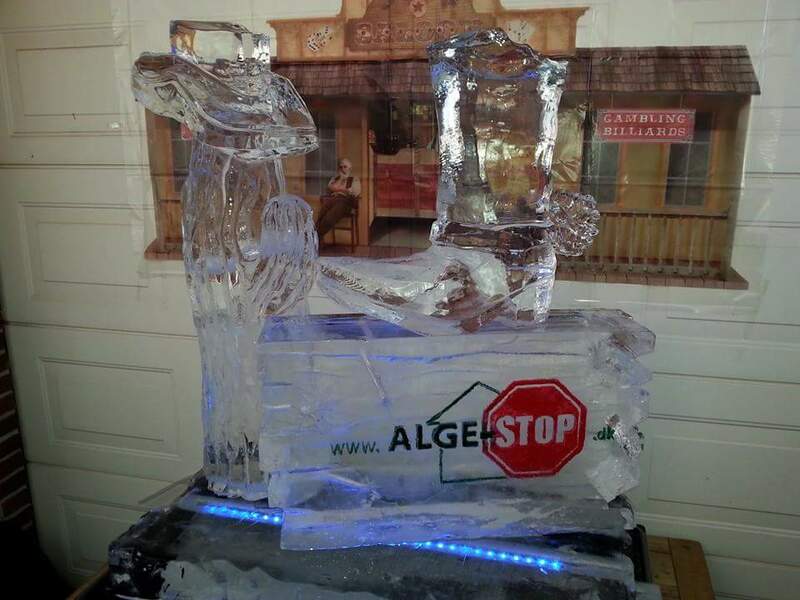 There are many ways to get a creative icesculpture. For example, use it as a champagne cooler for the welcome drink. 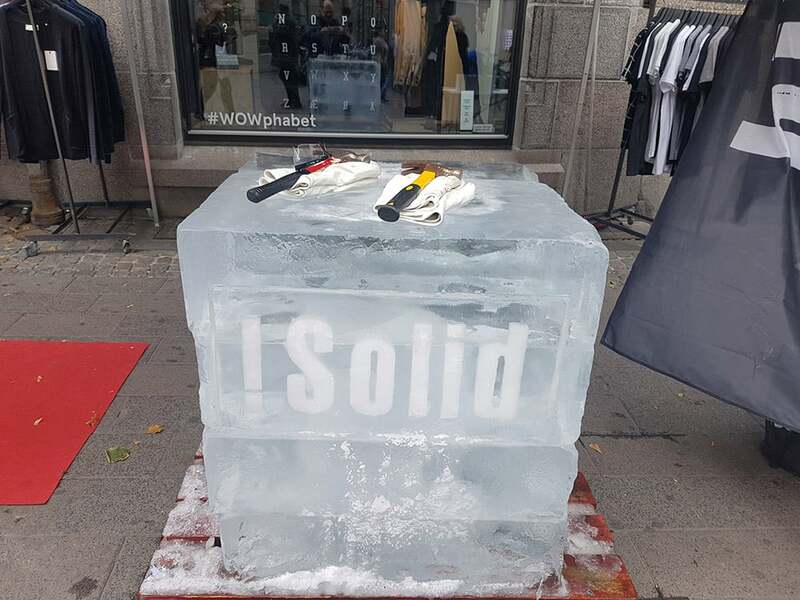 Logos can be carved in 3D, with color, foil or it can be snow-filled. Oldschool carved beer boxes in ice are very useful for chilling you beverages. Get your logo or name on the side. Please provide us with your logo and we will be delighted to discuss the possibilities.